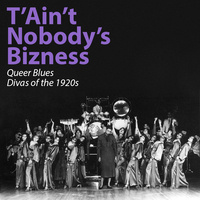 Film Screening: "T'Ain't Nobody's Bizness: Queer Blues Divas of the 1920s"
Join Unity House and the Office of Diversity, Equity, and Inclusion for a celebration of queer women, during Women's History Month! At this event, attendees will view the short documentary film, "T'Ain't Nobody's Bizness," which discusses the lives and music of a number of queer women blues artists from the 1920s. We hope that attendees will also leave with a better appreciation of both these queer women and their art. A lively facilitated discussion about the signficance of this history will follow the screening of this short film.